Next ArticleA Comprehensive Analysis of "Kitchen Takeover"
Before my trip, I spent a bunch of money upgrading my camera body and lenses. I didn’t feel like spending more. Thus, the red-hot GoPro camera never made its way into my backpack. Now, I’m traveling with my cousin. 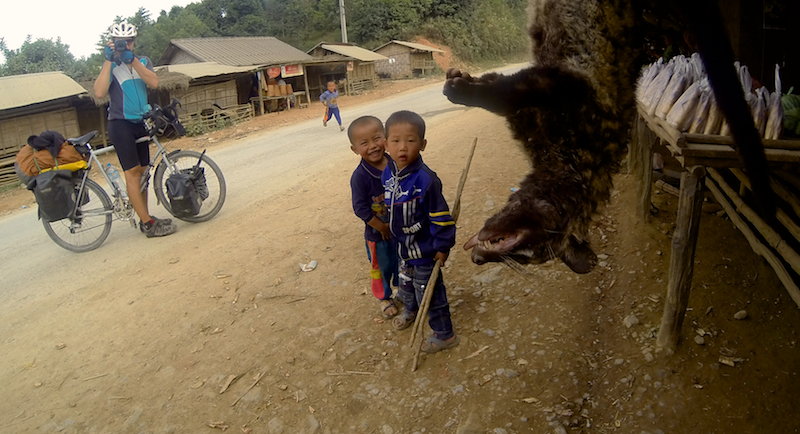 He has a GoPro, and it’s taken some amazing shots. Looking back on my trip and all of the places I’ve been, I realize what I’ve missed out on. Man, I wish I brought a GoPro. Below are 9 shots taken by my cousin. Enjoy. Leaving Kunming, China. 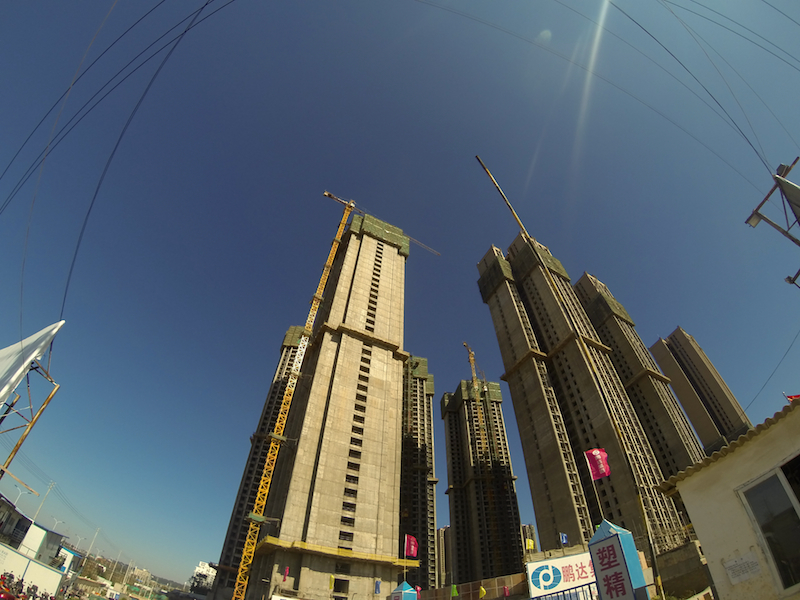 There’s skyscrapers everywhere in China. It’s kind of disgusting. Urban sprawl goes on for dozens of miles. Flying through Chinese villages. Here we see an abandoned gas station. A dead animal for sale in a roadside market. We called it a muskrat. What’s for lunch?! 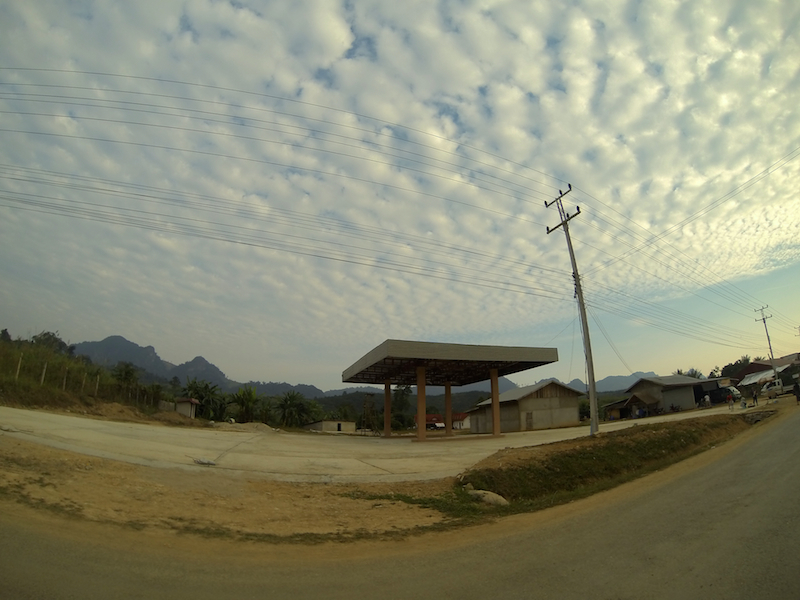 For the final 200km from China to the Laos border, we took a bus. I was not happy about it. However, I’m part of a team now, so my stubbornness doesn’t always prevail. 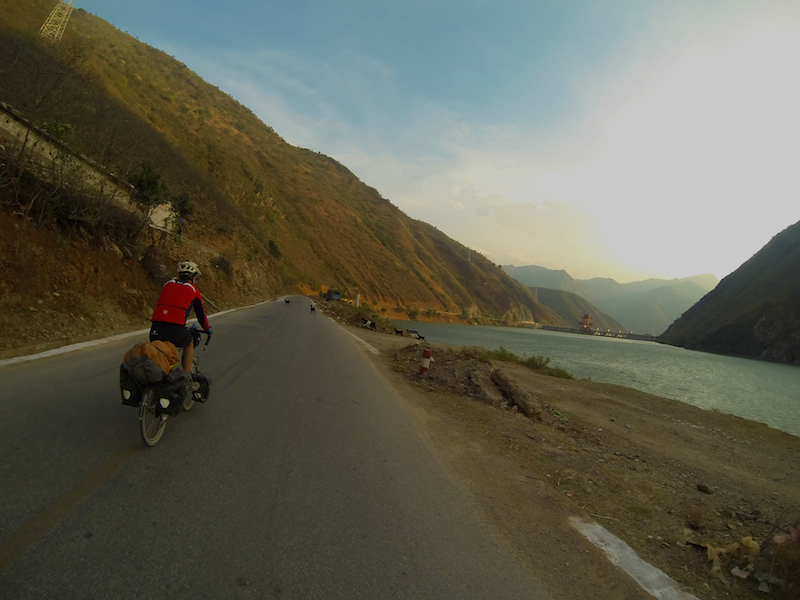 The road was really hilly. 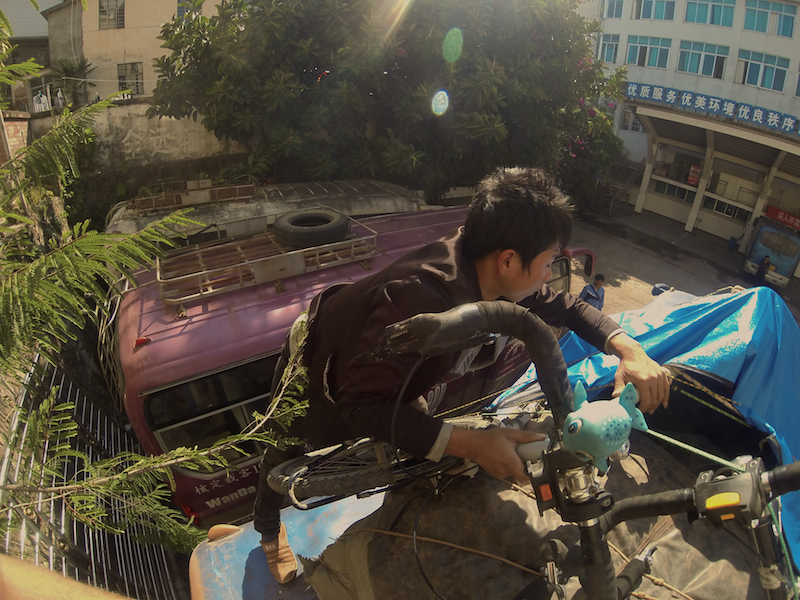 Here’s a Chinese guy strapping my bike to the top of the bus. 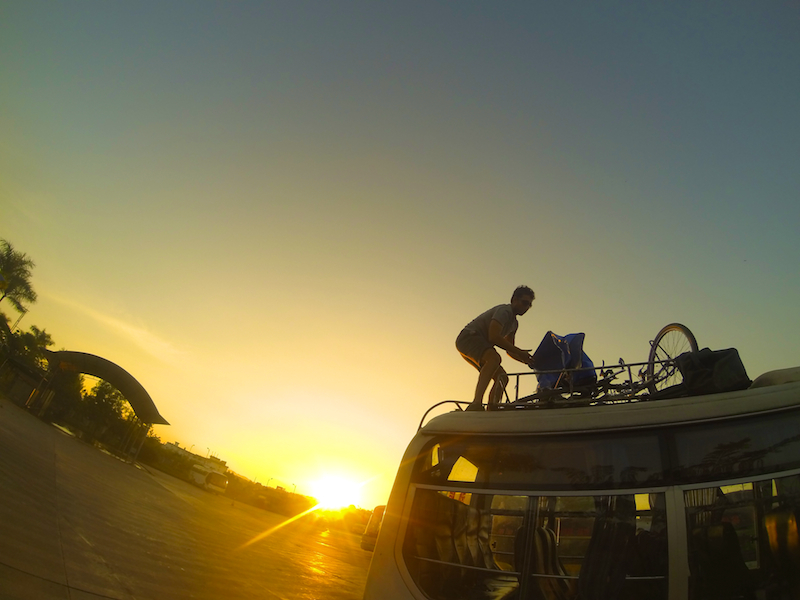 Here’s me taking my bike off the bus after arrival in Mengla, just 50km north of Laos. Somewhere in China, we met a guesthouse owner. We were on the highway staring wide-eyed at a road sign, and the man stopped to help. Needing a day’s rest, we made our way to his property that evening, which happened to be in a protected national park. On our day off, we wanted bread. 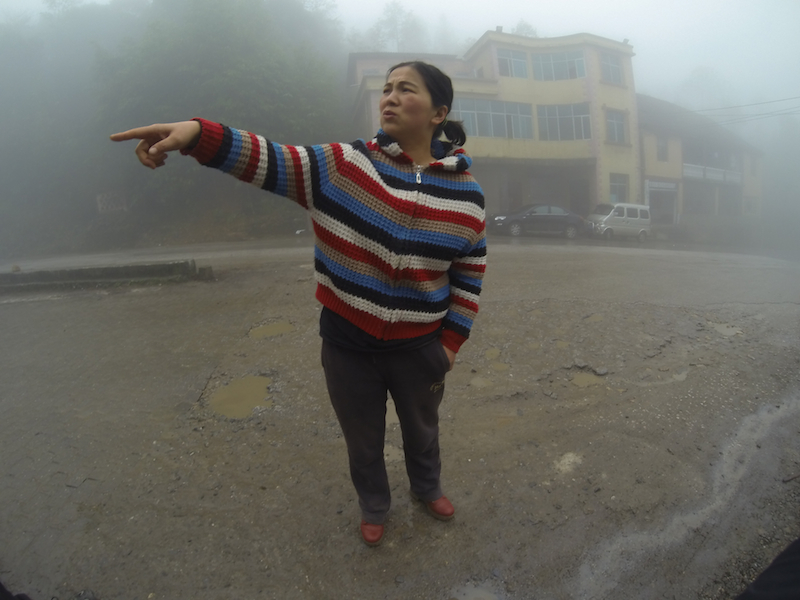 There was a village adjacent to the guesthouse, so we went exploring. 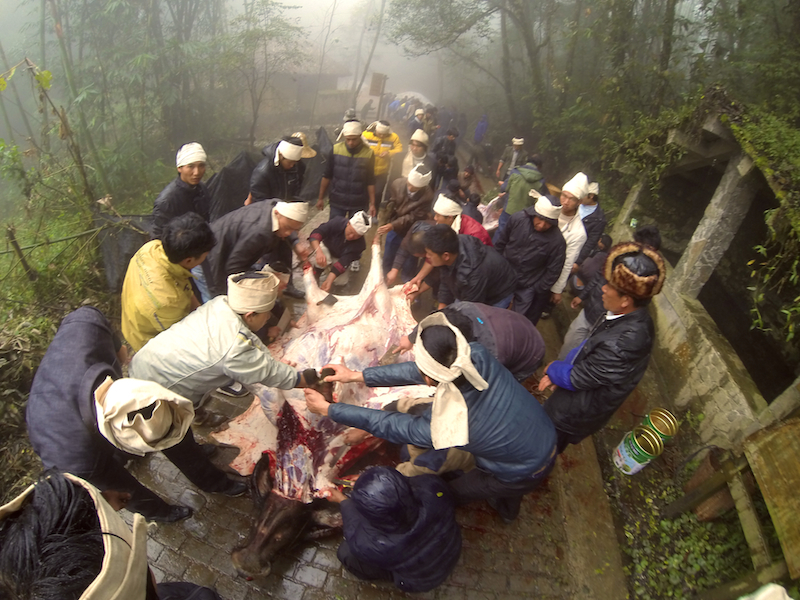 It so happened that someone in the village had died, and they were in the process of conducting the funeral. 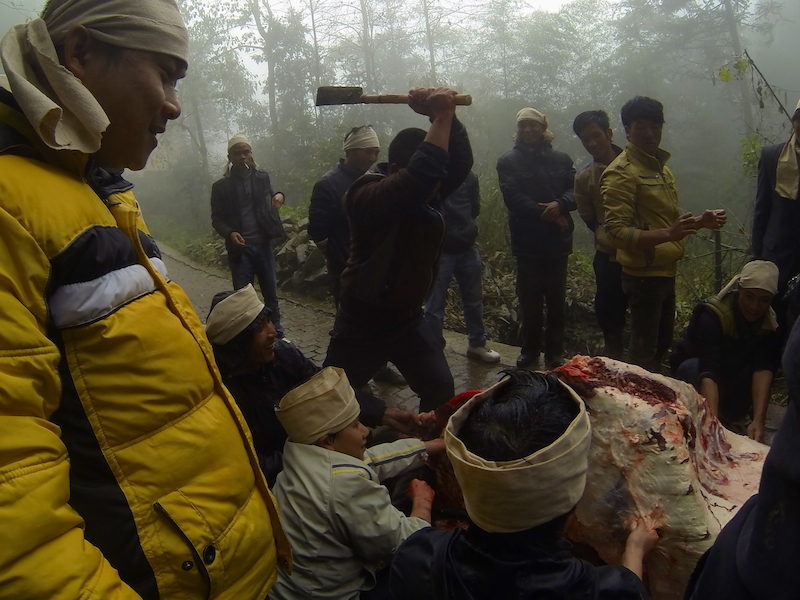 Customs including putting on a white headband, fully butchering numerous water buffaloes and pigs for feast, and leading a bagpipe-type procession. We were witness to it all. The above picture shows a water buffalo losing its life. It makes you never want to eat meat again. Another shot of the buffalo. Never had a chance. A woman in the village showing us where the bread is. Somewhere in China. That open, open road. The GoPro does great work. I really wish I brought one of my own.